The Super Bowl is this Sunday! We all know that just as important as the event itself is the delicious food to nosh on with friends and family during the big game. We've got 6 sweet and savory dips and spreads that are real crowd-pleasers -- and since they're full of healthy ingredients they'll keep everyone energized enough to cheer for their team! <br><br> Beyond the football festivities, these dips and spreads are also great for having around for those times when it seems like the only thing that's left to eat in the house is a loaf of bread or a package of pasta. Whether you serve them before dinner with veggie sticks or use them as a tomato-sauce alternative for pasta or rice, we hope you find them useful tools for giving your family some flavorful options. Read on for our 6 versatile dips and spreads. <h2>1. Sweet Bean Dips</h2> They may sound weird, but sweet bean dips can taste really good and can <a href="http://www.inhabitots.com/best-eco-friendly-sources-of-protein-for-vegetarian-tots/">add yummy protein into your family's diet</a>. 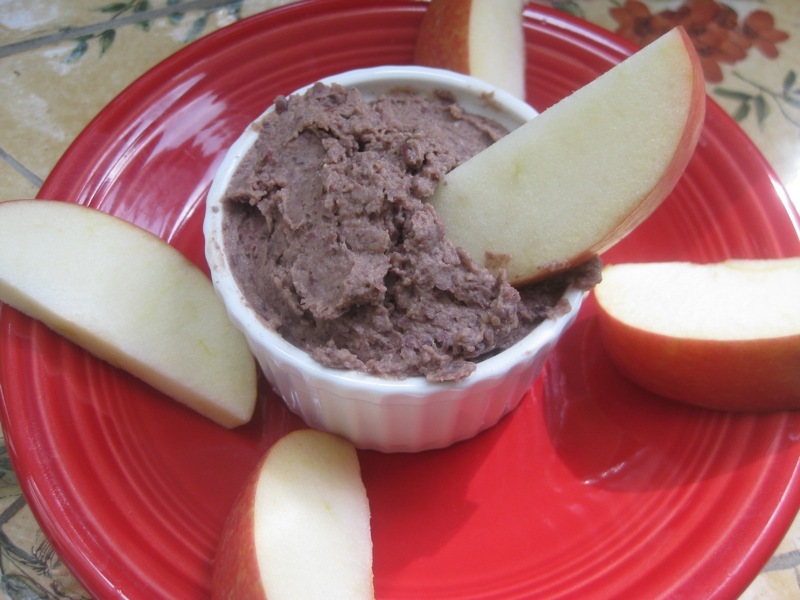 <a href="http://www.choosingraw.com">Choosing Raw</a>’s <a href="http://www.choosingraw.com/two-new-sweet-bean-dips-chocolate-peanut-butter-black-bean-dip-and-cinnamon-spiced-adzuki-bean-dip/">sweet bean dips</a> include one that uses azuki beans and another that uses black beans. This type of dip is ripe for experimentation, but if your kids' tastes are slightly tamer, you could always try one of many <a href="http://www.epicurious.com/recipes/food/views/Hurry-up-Black-Bean-Dip-243226">savory bean dip</a> versions, which taste great with veggies and Mexican food. <h2>2. 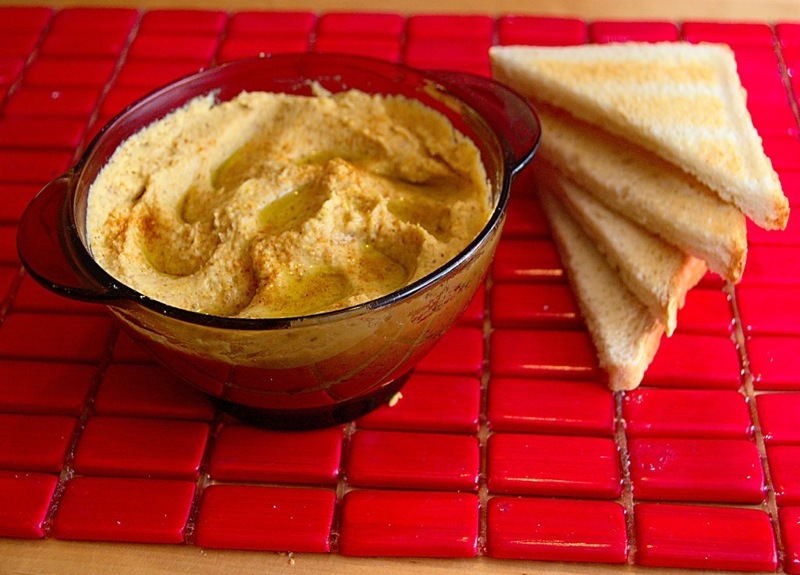 Hummus</h2> Hummus is an amazing spread as is, and kids love its creamy, smooth texture. It makes a great canvas for other veggies and seasonings. Try this <a href="http://www.inhabitots.com/how-to-make-kid-friendly-orange-hummus/">orange hummus</a> or consider adding spinach, roasted red peppers, sundried tomatoes, even pumpkin. You can also get creative with what beans you use instead of the traditional chickpeas. We love making a black bean hummus seasoned with cumin and cilantro, for example. <h2>3. 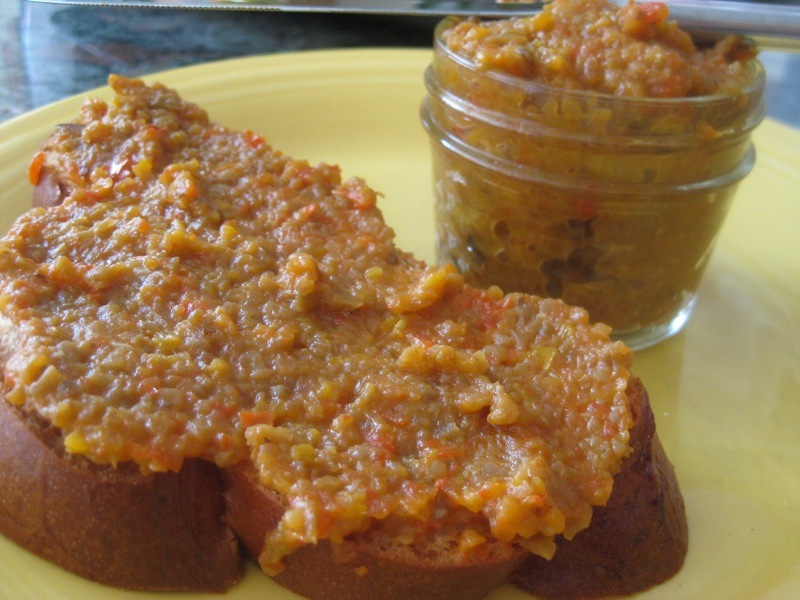 Ajvar</h2> This <a href="http://www.inhabitots.com/how-to-make-ajvar-a-seasonal-roasted-pepper-and-eggplant-spread/">sweet red pepper spread</a> goes great with quesadillas, paninis, or even tossed with pasta. It's exotic enough to keep kids and adults interested, but it's also comforting and with a texture that even little eaters can enjoy. <h2>4. 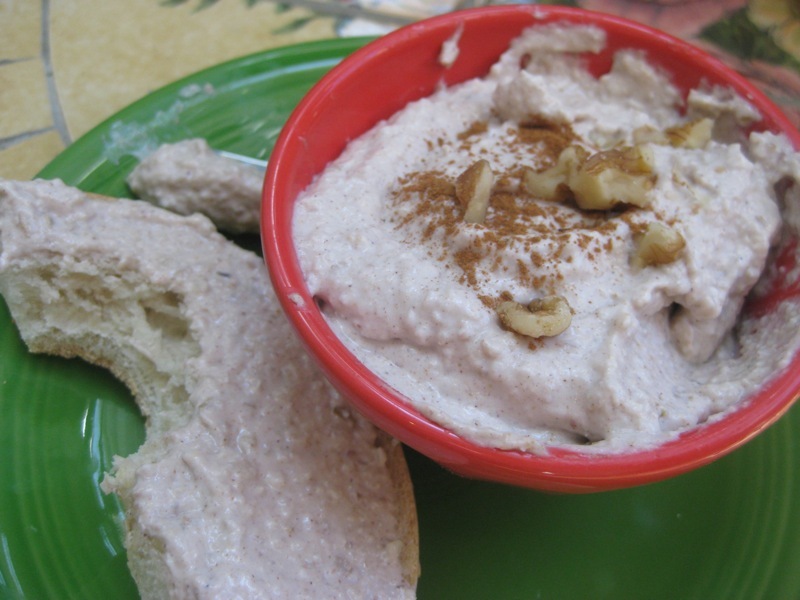 Fruit and nut dips</h2> Use nuts such as almonds or cashews as a base to create a dip that veers into either the savory or sweet territory. Add soft fruits or veggies like apple or pears or cucumbers as well as seasonings. If you go with something sweet, try crisp apple slices or celery stalks for dipping. If you decide to make something more savory, serve with cucumber spears, green beans, pepper slices, or crackers. <br><br> For a quick and easy maple walnut pear dip that combines healthy fruits and nuts, try this: Put 1/2 cup of walnuts into the food processor and blend until finely ground. Add 1/2 cup vegan cream cheese, 2 Tbsp of maple syrup, 1/2 tsp of cinnamon, and 1/2 a pear. Blend until creamy and serve with fruit slices or on top of bread as a butter alternative. <h2>5. 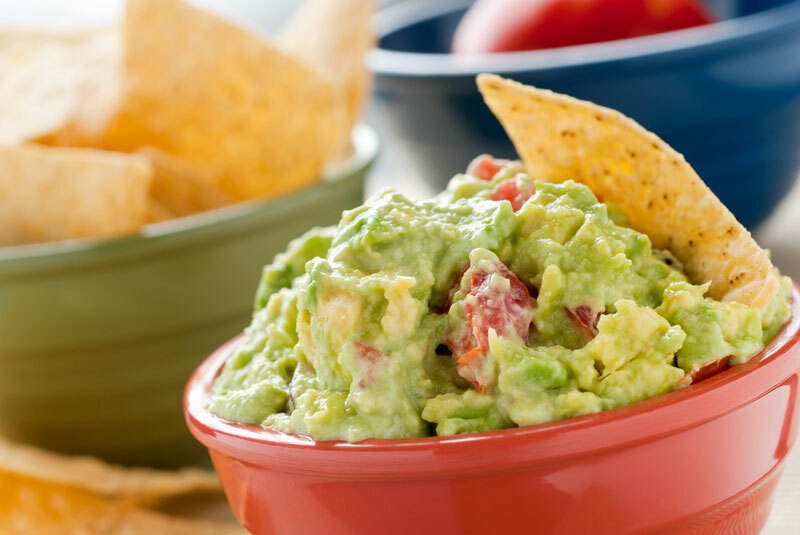 Guacamole</h2> Guacamole is a party favorite for good reason. It’s filling, loaded with healthy fats, and can sneakily include other veggies like tomatoes and onions or even some bell peppers. Serve it with veggie sticks or organic corn chips. 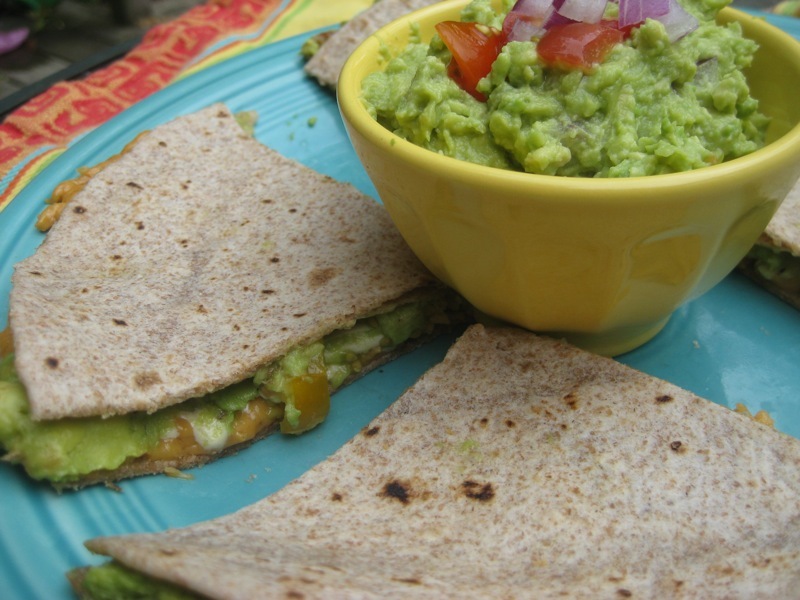 I like to add it as a layer to our vegan quesadillas and no one's complained yet! <h2>6. Pesto</h2> There are about a million different pesto recipes, and most of them are absolutely delicious. 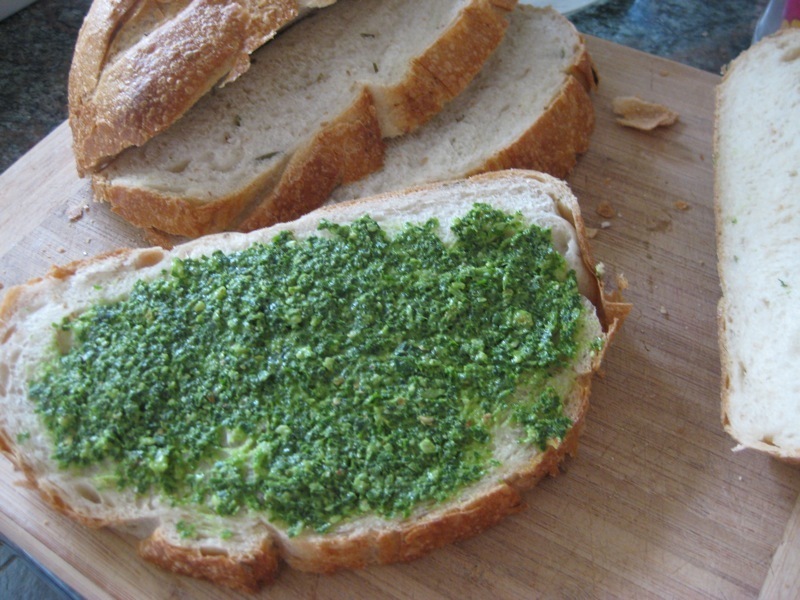 While pesto traditionally uses basil, pine nuts, garlic, olive oil, and lemon, we love how adaptable pesto can be. Try swapping out the usual suspects with cilantro, almond, and sesame oil version for some Asian flair, for example. Either way, pesto can be used to top pasta or layered in a favorite sandwich. The Super Bowl is this Sunday! We all know that just as important as the event itself is the delicious food to nosh on with friends and family during the big game. We've got 6 sweet and savory dips and spreads that are real crowd-pleasers -- and since they're full of healthy ingredients they'll keep everyone energized enough to cheer for their team! Beyond the football festivities, these dips and spreads are also great for having around for those times when it seems like the only thing that's left to eat in the house is a loaf of bread or a package of pasta. Whether you serve them before dinner with veggie sticks or use them as a tomato-sauce alternative for pasta or rice, we hope you find them useful tools for giving your family some flavorful options. Read on for our 6 versatile dips and spreads.